Great Grandma Margie Deck riding in the mule. 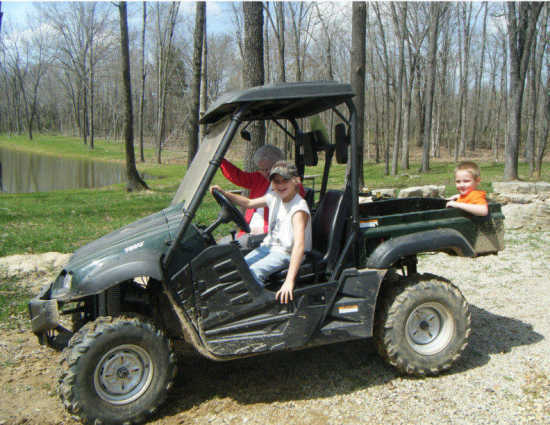 Great Grandma Margie Deck riding the mule with Kyla and Klete Beel her great grandchildren. A good time was had by all!